Many of you won’t have heard of Genclerbirligi, and I’m sure you would struggle to name a single player in their squad, or even know the colour of their kit. I know I couldn’t a few months ago, but a trip to watch my new local team in Ankara, Turkey, and I was hooked. In England my local team Liverpool is one of the bigger clubs in the country, one I’ve supported all my life, one which has become hereditary. I wouldn’t swap that for anything, but the excitement of watching Gencler is something different. Supporting a big club, matches that are lost to smaller teams usually cloud disappointment on the day, but on the other side of that coin, a win for Gencler against one of the powerhouses of Turkish football would be massive and celebrated a lot more than an expected victory every week. The epitome of mediocrity, Genclerbirligi finished 9th in the Turkish Superliga last season, which is made up of 18 teams. They missed out on qualifying for the top 8, which leads teams into two mini leagues for the league title and european qualification. At the same time they were far enough away from the foot of the table to worry about relegation. The fans have told me that they are are happy if they finish 9th, something they aim for, and any more is a bonus. Supporting the club that is the underdog in half of their matches is a new sensation for me, but it does provide a real buzz. One thing that does surprise me about Genclerbirligi is the size of their crowds. I recently went to the game against Kayserispor, a 4-0 victory, in front of a crowd of only 7,000 or so people. Comparing this to Ankaragurcu, the now second division team that share the stadium, get twice as many as that through the gate. Both of these are the only two teams in the capital city of Turkey, with a population of over four million people. The influence of the big two, Galatasaray and Fenerbahce, and to some extent Besiktas really is hegemonic, and seems to stop people supporting their local teams as people do in England. Back home I have friends that support teams from Northampton to Arsenal, Newcastle to Southend. In Turkey it is different though, and you’ll see flags from the big clubs in Istanbul all over the country. Of course I completely understand this, Turkey is a lot bigger that England, with many places only having semi-pro provincial teams, and the big clubs have the best players from the European Leagues. That is why Genclerbirligi appeal to me even more, and I love the shocked reaction I get from people when I tell them who I support in Turkey. This season Gencler have come flying out of the blocks, and currently sit fourth in the Superliga, only two points off the top. Their first real tough game was welcoming table toppers and current champions Galatasaray to the 19. Mayis Stadium on Friday night. A spirited performance against the superior team earned them a point in a thrilling 3-3 draw. I wasn’t in Ankara at the time so was unfortunately unable to go. Although I’m sure my friend Chris was; and I’d like to thank him for introducing me to Genclerbirligi, an Australian that I had been in contact with about football on twitter. The beauty of the internet. Reading the BBC’s ‘Price of Football Survey’ this week made me realise how things have really changed, and football is slipping away from a lot of people financially. My ticket for the Kayserispor match was 15 lira (£6) and I even got a fake replica shirt for 10 lira. Of course, the directors looked to cash in and raised the prices to 100 lira for the Galatasaray match, using the proposition of a 1st vs 3rd clash in the Superliga as an excuse. Chris however bought a season ticket in before the season started for 100 lira (£40), which gives him access to all 18 top flight matches. Which ever way you look at it, this is cracking value. I’ve really been sucked into the world of Genclerbirligi fans, from the two blokes with drums instigating the songs (which I’m still somewhat struggling with, in my limited Turkish) to the mountains of sunflower seed shells that crackle under your feet at the end of the match. One thing that particularly struck home, is when after the Kayerispor match, the players came to celebrate with the fans, their home fans, and it was not a pathetic applause from a few players. They sprinted over the pitch and themselves started songs, with two way chants being passed from the players to the thousands of onlooking fans. 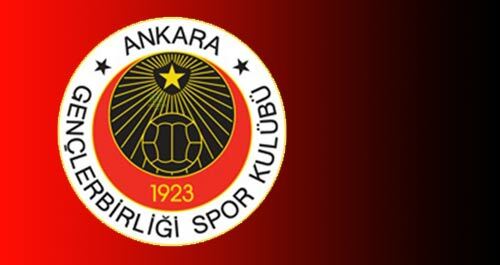 The players are as passionate about the little club from Ankara as the fans are. I’m hooked, and Genclerbirligi could do with some more international fans, so get in touch if you want to join the growing band, if you’re ever in Ankara try and go to a match you won’t forget any time soon. Oh, and they play in Red and Black stripes in case you were wondering. This entry was posted in Analysis and opinion and tagged ankara, bbc price of football, besiktas, fenerbache, galatasary, genclerbirligi, turkey, turkish football, turkish superliga by Paddy Spicer Ward. Bookmark the permalink.